There are several opportunities to participate in club sponsored art shows at discounted rates in jury fees and application fees, in addition to exclusive "members-only" events, monthly meetings, education opportunities, outings, and demonstrations. 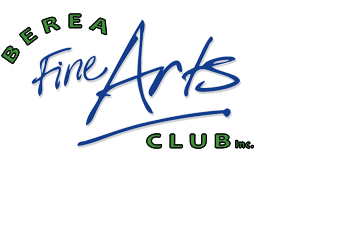 The Berea Fine Arts Club, Inc.
After receiving your payment and other required information, our membership committee will review your application and notify you by phone or e-mail. Your payment will only be processed upon approval. Verification Word:* To help reduce junk mail, please re-type the word shown below.